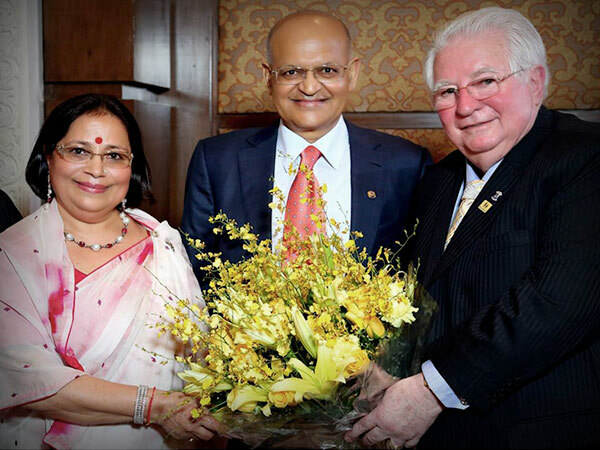 Aruna Abhey Oswal Trust has had a beautiful and a very productive partnership with Lions Clubs International Foundation since 2005, wherein four speciality Eye Care Centres were launched in Bangalore, Siliguri, Ludhiana, Baroda and Godhra. The Trust has again joined hands with The Lions Clubs International Foundation for the Mobile Medical Vans Project with the vision to deliver free diagnostic & primary healthcare services to the poor and needy with utmost dedication and economy. A dedicated team of doctors, technicians, pharmacists and nurses have been working tirelessly to fulfil the aim of the project. PDG lion Aruna Oswal along with Chairperson Barry Palmer of LCIF have been personally involved in the launch of these Mobile Medical Vans. Under the pilot project of this formidable partnership Mobile Medical Vans were delivered which would be used in and around the rural and semi rural areas of Ludhiana, Faridkot, Cuttack, Baroda, Godhra and Mumbai. This initiative will provide basic diagnostic, preventive and treatment services to some of the world’s poorest people, free of cost. The trust has designed an intelligent programme to target isolated areas across rural populations in India, South Asia, Africa, Middle East (ISAAME) countries.